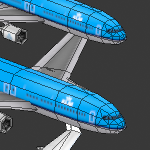 For this project I was approached by Little Chicken Game Company question if I could help them out modeling airplanes for a mobile strategy game they were developing with KLM, the Royal Dutch Airline. 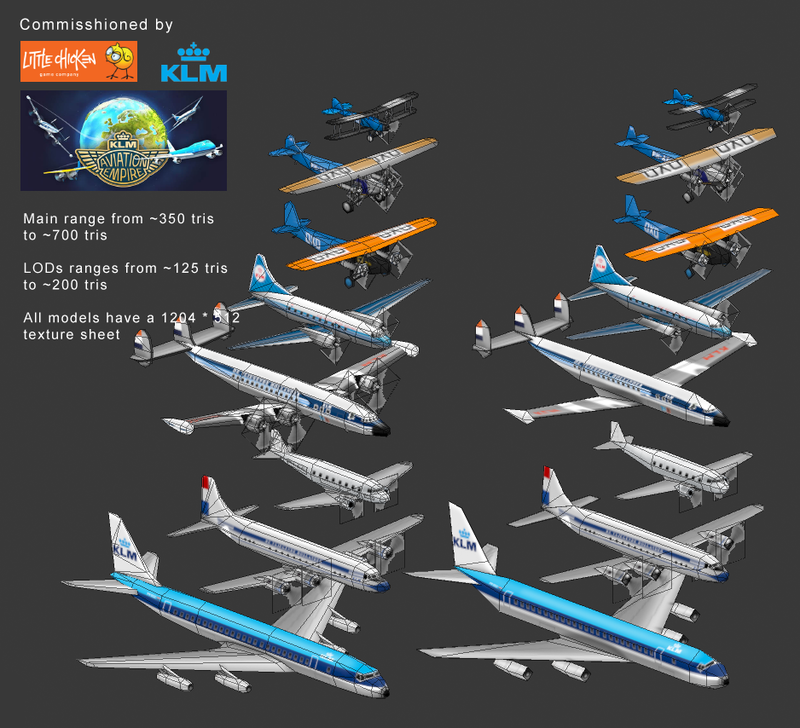 For this game I needed to model all the planes the KLM had flown with since the start of the company. 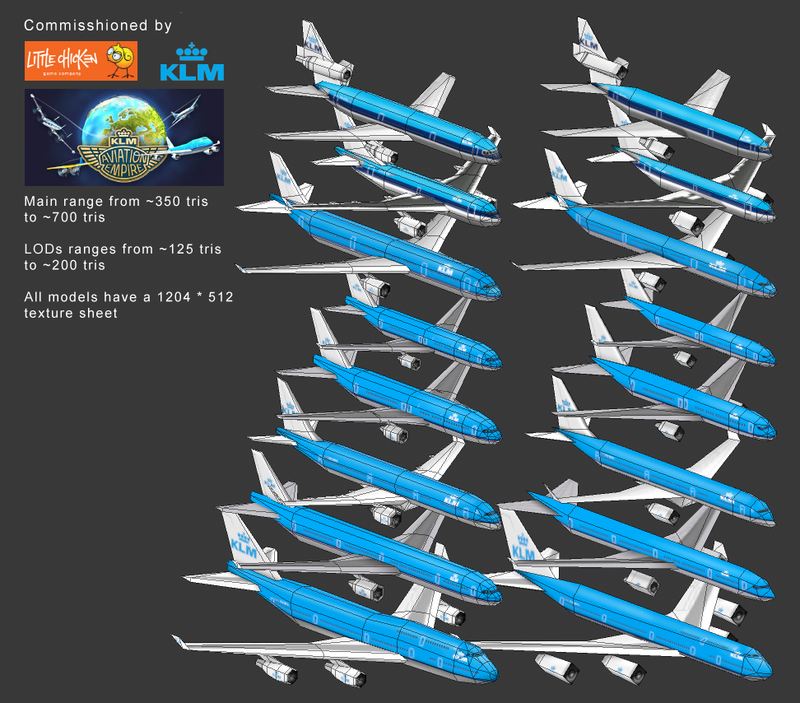 It took some time to find good and useful reference images of the planes. But I managed to get some great ones eventually. Because the game was going to be released on mobile devices I was very limited with the polycount I could use. Most models are around ~500 - ~600 triangles with some deviations. The LODs are all lower than 220 triangles. 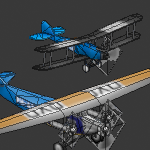 The LODs use the same texture as the normal models. It was a fun assignement to do. And although the assignment was fairly simple, I learned some new things as well which is always nice.